Here are the locales to watch for on wine labels and to put on your travel horizon. Nearly 99 percent of Washington's wine grape production occurs in the mighty Columbia Valley. This umbrella region covers more than one third of Washington's total land mass, or 11 million acres! Believed to have once been the site of an ancient volcano, the Columbia Valley's terroir is generally characterized by porous soils, light annual rainfall and long daylight hours during much of the year. But there are significant differences and notable variations within this 18,000-square-mile region that have led to the official assignment of several sub-appellations. And within those sub-AVAs lie several sweet spots: valleys, bluffs and ridges that are growing some very distinctive grapes. Here are just four spots to watch for on wine labels and to place on your travel horizon. All of these areas are just a scenic drive away from Seattle, Spokane and Portland. Established in 1983, the Yakima Valley was Washington's first federally recognized appellation. It lies between the foothills of the Cascade Mountains and the Kiona Hills and is blessed with a rich diversity of microclimates due to rugged hillsides, wetlands and the Yakima River. Yakima Valley is home to the towns of Yakima and Sunnyside and Dairygold Dairy Fair, a cheese factory offering free self-guided tours. "The Yakima Valley is the epicenter of the Washington wine industry. We source and grow our white grapes here because the combination of cool temperatures and deep, well-drained soils produce flavorful fruit with high acidity. The wines are very bright and lively." Walla Walla means "many waters," and the valley was so named by Native American tribes for the rivers and streams that flow down to its soils from the neighboring Blue Mountains. This naturally irrigated valley is an incubator for many crops, including more than 1,600 acres of grapes. 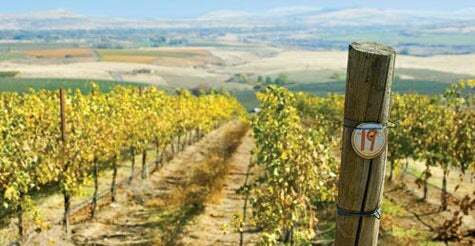 With more than 90 wineries now in the area and the quaint town of Walla Walla filled with restaurants and neat places to stay, Walla Walla Valley has become a fun destination for visitors. "We recently bought land in Walla Walla to dry farm grapes. We hope it offers the right balance of sunshiny days, cool nights and enough rainfall. We feel that with the right style of farming, we can cultivate great grapes there." Located northeast of Yakima, the Wahluke Slope is one of the warmest grape-growing regions in the state. It just became an appellation in 2006. Although grapes from the Wahluke Slope are found in many Washington wines, there are few wineries here. The first tasting room in the area opened in 2007, and there is little else to visit--yet--in the region. Milbrandt Vineyards has a tasting room in the town of Prosser, where there are plenty of things to do, including activities on the Yakima River, a county museum and gourmet restaurants. "Wines from the Wahluke Slope have fruit forward tones resulting from young, sandy soils. Yet they are complex and balanced due to our ability to micromanage irrigation, which creates vine struggle. The long warm growing season promotes richly colored wines which are intensely aromatic." The chalky White Bluffs are composed of sandy, rocky soil conducive to growing grapes. This region receives more heat than growing areas to the west and avoids the more frequent frosts and killer freezes to the east. This area has not achieved an official AVA distinction of its own, so watch for wines with "White Bluffs Columbia Valley" on the label. "The thing that I like about the White Bluffs area is that the growing conditions help us maintain acidity while the sugar levels rise. As the fruit ripens, we are consistently able to reach that pinnacle balance of sugar and acidity."